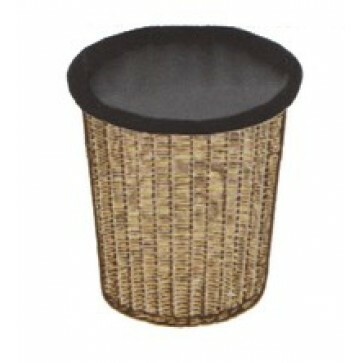 Hand Made Overflow Collection Baskets available from F. J. Remey Company. Baskets, made of reed are lightweight and strong. Available in unlined or with removable ling with elastic tops, that allow for washing and changing colors Material lining both quiets coins and are moth proof. Round Overflow (pictured) - measures 14" diameter with 14" depth.